As software developers and entrepreneurs, one of the biggest dreams is to utilize our technical skills to build a product and see it make an impact on the lives of people. We kicked off the year 2019 with the launch of M4I (Measure for Impact), built with our partner Social Lens. M4I is a cloud-based tech platform that empowers nonprofits to make a bigger impact in the social sector. The possibilities offered by technology has seen rapid growth in recent times. Cloud-based solutions are easily accessible now – they provide possibilities of distributed data access and big data analytics on the collected information. In locations with weak connectivity, it is now possible for users to work offline on cloud-based solutions via progressive web apps and other technologies. All these advances have enabled numerous innovations in sectors like healthcare, e-commerce etc helping them increase the scale of their operations and explore new possibilities. 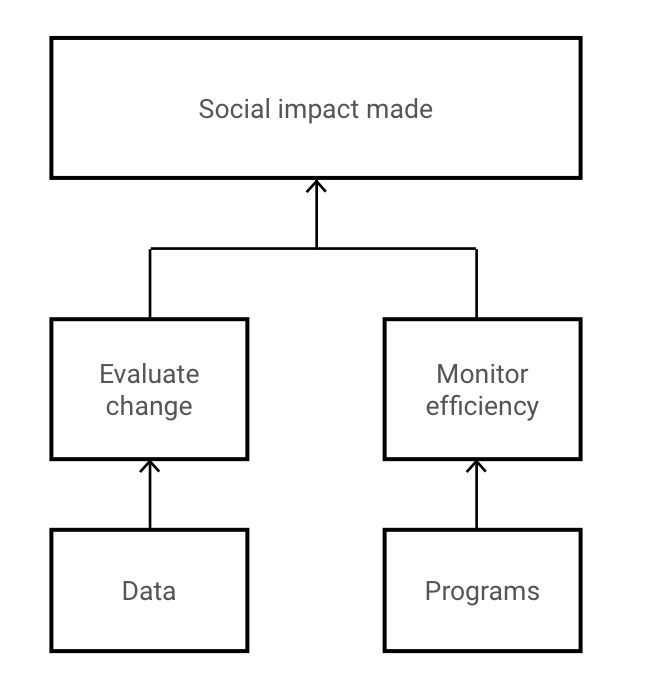 Social sector organizations have also witnessed rapid evolution in their scale of operations. Their outreach has become wider and new domains (livelihood, education, skilling etc) are being explored. There has also been an increase in collaborations with funding the nonprofits to empower them in making a wider impact. Lack of standardization in methodologies followed by nonprofits making it difficult to build generic solutions. Custom built solutions are costly – it is difficult for small & medium scale nonprofits to utilize them. Lack of exposure to technology makes it difficult for nonprofits to easily adopt technical solutions. Companies like AWS, Google, Twilio, etc are realizing the opportunities and potential for tech in the social sector. Many of them offer free credits to nonprofits for utilizing their services. The aim is to infuse technical interventions and processes in the functioning of nonprofits. Cloud-based solutions enable data-driven decision making and better utilization of funds. It also helps to maintain historical data, that is very helpful to plan new programs by understanding trends through powerful data analysis that are available. In our quest to make an impact in the social sector via technology, ColoredCow was lucky to partner with Social Lens. They have a vast experience in working with nonprofits. Over the years Social Lens worked with nonprofits to help them execute their programs efficiently and to make a better impact. They also have experience working with corporates & foundations and understand the expectations of nonprofits. We worked together to build a cloud-based tech platform for nonprofits that would enable them to run their programs more efficiently and deliver a larger impact. For this, we built a platform that would enable the nonprofits to use the Monitoring and Evaluation Methodology to assess their programs. Utilizing open source technologies to build the platform at a lower cost so that we can make the product open access for all NGOs. Creating a framework to incorporate non-standardised workflows across different domains. Building a prototype and launching an MVP (minimum viable product) to evaluate product reception. We developed a platform on top of an open source PHP framework called Laravel. This gave us a head start by providing pre-built scaffolding for components like authentication, mailing, database, etc. We utilized our own mobile framework to reutilize the business logic written for web into the mobile application via API. We hosted the cloud-based application on Amazon Web Services. The application architecture and infrastructure were designed to ensure industry standard data security and the possibility of scaling in future. 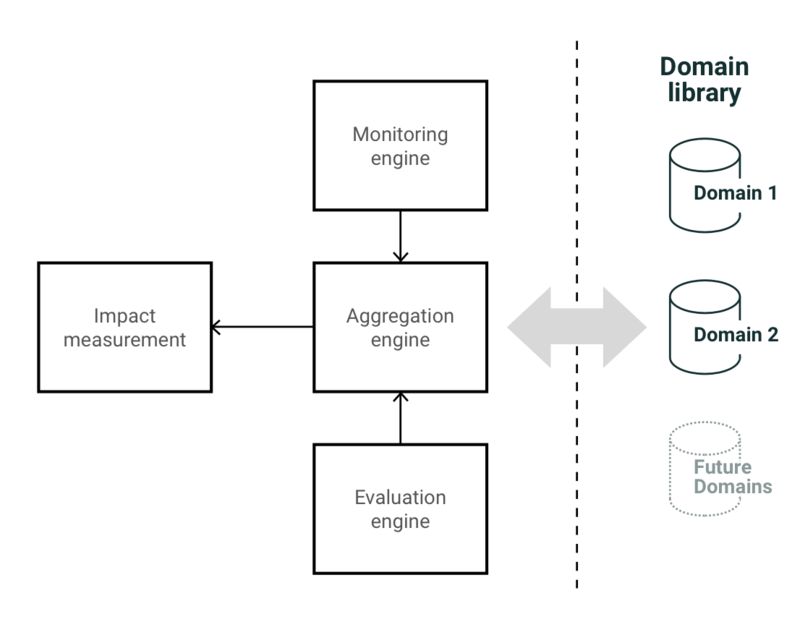 We focused on building a framework that would be scalable to different domains of the social sector(currently supports two as shown in the figure below) and non-standardised workflows. This would enable us to make the tool reach a large section of nonprofits. Social Lens brought in their domain expertise to define standardized program structures for initial domains. We utilized the structures to build an extensible core of the platform that would form the framework on which the tool would work. The platform will support the initial domains designed by Social Lens using the framework developed. The tool was developed keeping in mind extensibility and the ease of adding future requirements easily. As we move forward, M4I would be extended further as more nonprofits from different domains join in. A prototype was developed and shown to non-profits. They tested it and relevant feedbacks were incorporated in the system. After a number of iterations, we finally went live with a beta launch on 1st January 2018. Currently, we have several nonprofits being part of the pilot project. We had experience of working on products in the social sector. We worked with our knowledge partners to understand the M&E workflow. It also helped us to get their perspectives on the upcoming platform and understand their expectations. Based on the requirements gathered, we built workflows and wireframes. We laid down the system architecture that will support the methodologies and can be extended to accommodate new domains and unstructured workflows. Conceptualizing a prototype and building an MVP. There is so much one can do by leveraging cloud-based and open source technologies to build products which can benefit a large section of the society. This is just one example and there is an ample scope to contribute and be a part of the team that translates an idea into new products. Finding a way to build low cost and scalable platform for non-profits to empower them in making a bigger impact. Utilizing open source technologies to build the platform with a lower cost. Developing a framework to tailor the platform according to the needs of scalability.